Today it was Mexican food, tomorrow Chinese and on Thursday, Mediterranean. Each weekday a new cuisine will be available in downtown Worcester now that Fooda has launched in the Mercantile Center. Fooda is a company that believes in a workplace food program. It partners with businesses to open lunch spots in office buildings or bring lunch straight to private companies. 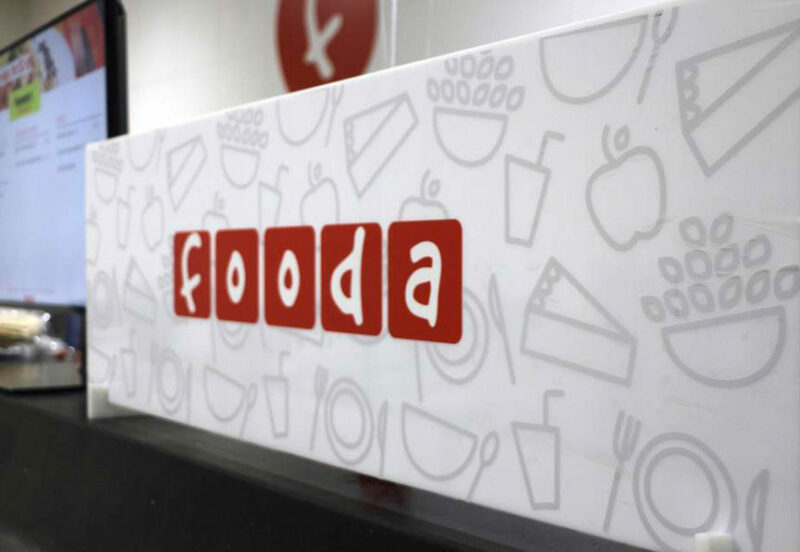 With more than 1,000 restaurant partners nationwide and locations in more than 12 cities across the country, Fooda brings a different restaurant straight to employees at lunchtime. Just four years after launching in Boston, Fooda on Tuesday unveiled its newest location in Worcester. Right off the lobby of the Mercantile Center at 100 Front St. is the new sleek Fooda space, which is being called “The Vault” because the site used to house a bank. The Vault will bring lunch options to the Mercantile Center on weekdays from 11:30 a.m. to 1:30 p.m. Hungry workers can find menus and schedules on the Fooda mobile app. Some of the local businesses that Fooda will bring to The Vault include Basil n’ Spice, Meze Greek Tapas, Figs and Pigs and Chick-fil-A. Fooda completed its lease agreement for the 2,400-square-foot space with Franklin Realty Advisors and Washington Capital Management. The Mercantile Center is a joint venture between Franklin Realty Advisors and Washington Capital Management, including the towers at 100 and 120 Franklin St., as well as the abutting parking garage. The area has become a mixed-use office and retail destination. Mercantile Center will expand more in the fall with the anticipated opening of Fuel America, which will be a 5,264-square-foot cafe and roastery. As Worcester experiences a renaissance of dining and development, the downtown area has seen a growth in lunch options. Stix Noodle Bar opened last month on the Grid District, Taste of Mediterranean has brought falafel and more to the old Telegram & Gazette Building on Franklin Street and Food Truck Row now has trucks parked behind the Worcester Auditorium Monday through Saturday.